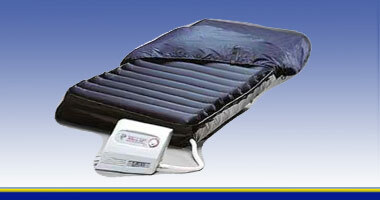 Low air loss mattress technologies are known to be effective in healing and preventing wounds and make care giving tasks significantly easier. 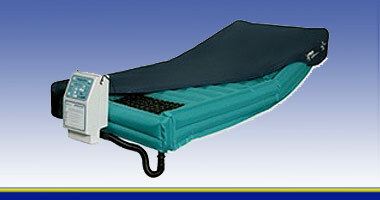 American Medical Equipment offers a wide selection of low air loss mattress systems to fit a variety budgets and applications, and the common thread of superior outcomes. Low Air Loss (LAL) mattresses are made of a motor and pump for inflation, and a single or multiple air bladders that comprise the mattress part of the system. The air bladders are designed to purge air, usually through laser-made holes in the surface of the bladders. As the patient immerses into the mattress, the pump detects changing pressures and inflation levels in the cylinder(s) and replaces that air via the pump and tubing to prevent the patient from "bottoming out".